The Roseway will be the first historic US ship in 57 years to dock in Havana. World Ocean School, a Boston educational nonprofit, and Proctor Academy are scheduled to begin their semester-at-sea program with a stop in Cuba, the first time in 57 years an original US tall shipwill dock in Havana. 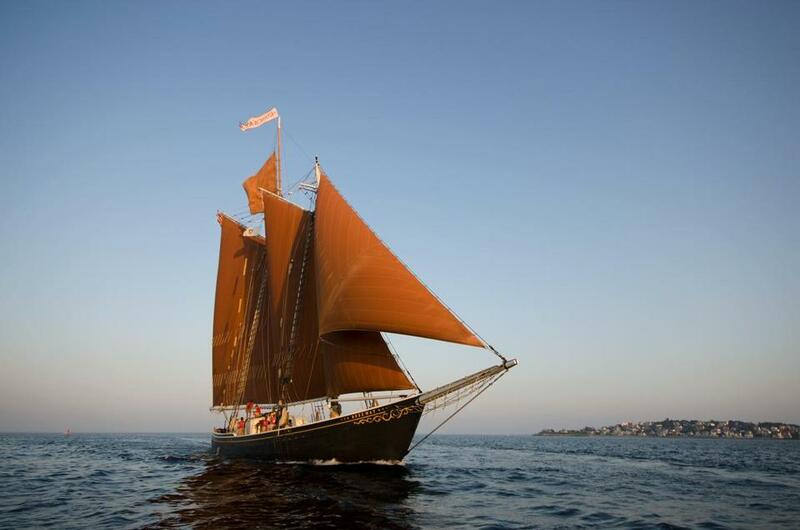 The program will send 22 sophomores and juniors from Proctor, in New Hampshire, on a nine-week voyage aboard a 1925 national landmark schooner, the Roseway, said Abby Kidder, president and cofounder of World Ocean School. The students take three courses during the semester and make four or five stops on the Sept. 23 to Nov. 19 voyage. “It’s a voyaging program, so it’s about students disconnecting from their daily life, their electronics, from what they know, and branching out and really focusing on their studies,” Kidder said. Once the students dock in Havana, they will spend time volunteering with students in a local arts community. “The focus is the people-to-people exchange, where they will be working with local students in an art community, and our students will be doing community service work at the art community and helping the students with any projects they might need assistance with,” Kidder said. Kidder said the students will learn about Havana’s culture. “They study maritime history, maritime science, and maritime literature, and the educators on-board have tied in some of their academics with Havana,” Kidder said. “They will be studying [Ernest] Hemingway’s work, so they will actually go and visit Hemingway’s home in Cuba.” Known as Finca Vigía, it’s located in the town of San Francisco de Paula. Kidder said she expects that students in Havana will be invited to see the Roseway and learn about the culture of the Proctor Academy students. “Cuba is such a big new stop for so many people,” Kidder said. Olivia Quintana can be reached at olivia.quintana@globe.com.